When you connect your Minterapp account with QuickBook, you can go paperless and get your accounting data organized in the cloud. 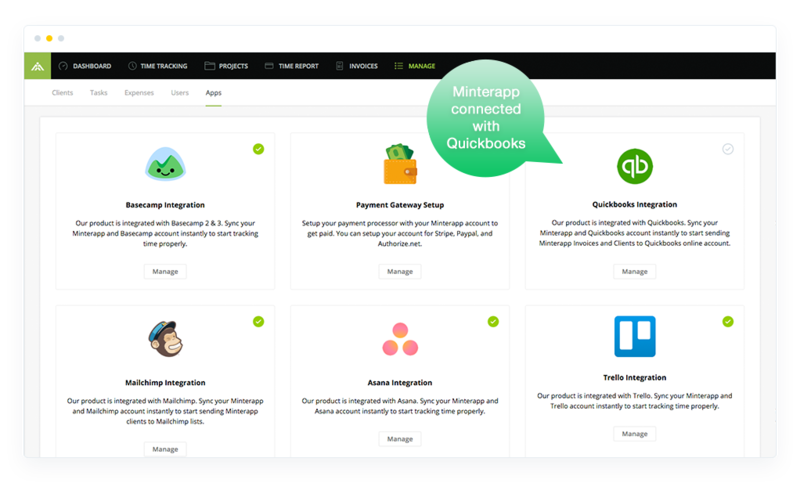 Integrate QuickBook with Minterapp and bring time tracking and accounting on single platform. How QuickBooks and Minterapp works? 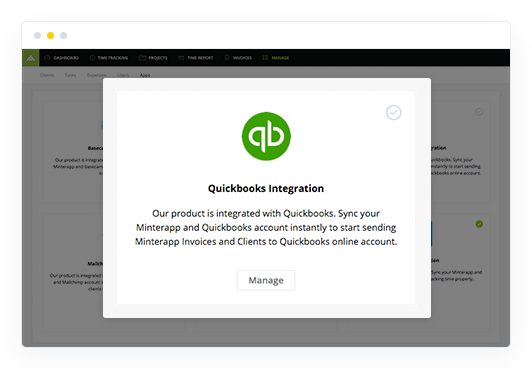 Minterapp integration with QuickBooks is so quick and easy. It assist you in managing your business on the go. You are all set to use QuickBooks. That’s it. Integration is done. You get the option to import old invoices in QuickBooks. It will fetch all the old invoices to QuickBooks in a single click. 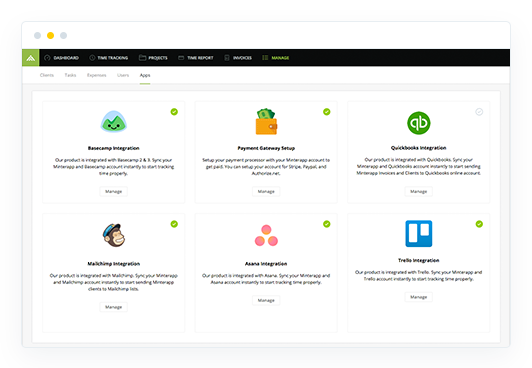 Minterapp integration with QuickBooks makes your accounting team work flawlessly. Many business owners do not have the ability to financial fundas of the company as well as the transaction tracking. For such business owners, it becomes easy to manage financial flows with QuickBooks. Helps you to manage everything from one corner. You do not have to jump from Minterapp to QuickBooks every now and then.